BMW is expected to highlight their recently previewed automated parking technology at the International CES in Las Vegas next month. The company will be demonstrating the new technology at the trade show in their electric i3 model. The Remote Valet Parking Assistant technology features 36-degree collision avoidance apart from environmental recognition and secure position. The technology makes use of four advanced laser scanners, which have the ability to identify impediments such as obstacles and columns and can chart a route to a parking spot that is completely reliable. The technology also calculates the time it will take to return the vehicle to the driver at a given time, based on the total time it took the system to navigate and locate a parking spot. The added benefit of this parking assistant is that it is operable through a smart-watch as well. The company has clearly suggested that it might take until 2020 for the complete implementation of the technology but still it is not something, which can be used on a daily basis on parking streets or lots. This will be limited to automation-friendly and very specialized parking structures. 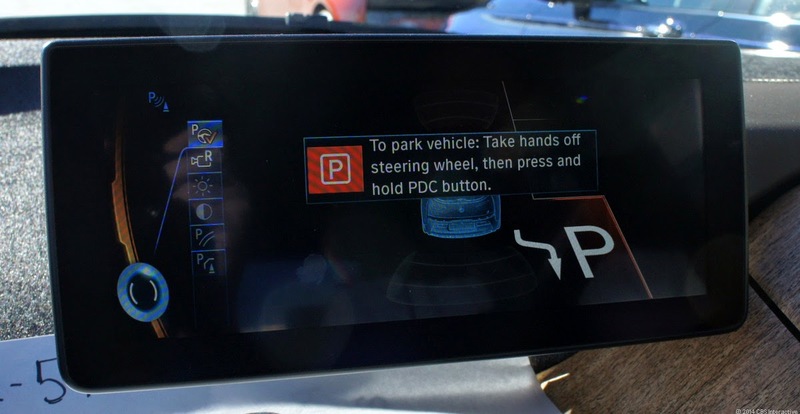 Even though parking assist technology is already a feature in many vehicles but at the moment it still requires a person to be in the driver’s seat. According to Michelle Krebs, industry analyst for AutoTrader.com, Ford and Lexus already have the parking assist technology added in their vehicles from quite a while. She added that we are taking steps towards making the parking assist to be fully automated but it might take some time for a car to Self Park. According to Kerbs there are many insurance and regulatory issues that have to be addressed first. Another main aspect to be remembered is about creating trust among the customers about this technology. According to their survey, nearly 65% of the customers deemed the technology way too dangerous but are looking out for features, which has already been included in the technology. What’s waiting for customers in future? Even though most of the customers are still not convinced about the technology, luxury car makers like Audi and BMW have already started using their own automated parking solution. BMW is a step ahead with their smart -watch-enabled control for Remote Valet Parking Assistant. Smart-watch is currently the style statement and the company has used the same for added attraction. This technology to be used in public platform will require artificial intelligence hence as if now, the company has restricted to the used in the controlled environment.